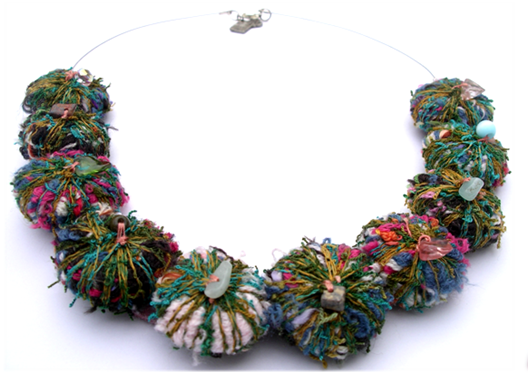 Tonight I was looking for some inspiration and stumbled upon several artists creating recycled beads and necklaces specifically from recycled wool sweaters or blankets. Something about the bright colors combined with “fuzziness” provided some warm comfort on a sad lonely day. The first artist I came upon was from Argentina. 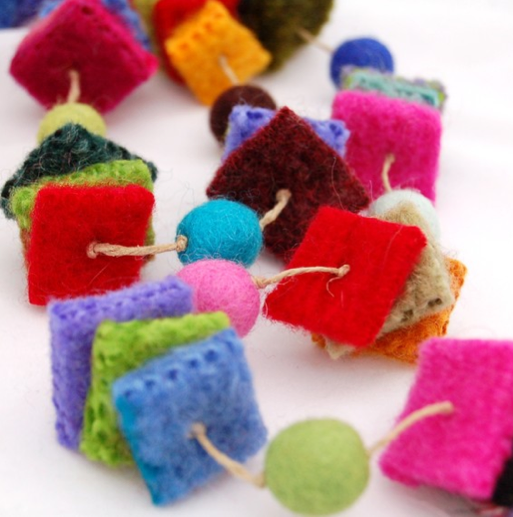 Lua Chea specializes in eco-friendly accessories made from wool, threads and fabric remnants along with a few buttons thrown in. The fabrics are usually remnants and leftovers from textile manufacturers. Leather and suede is gathered from shoe, belt and purse factories. Their designs are beautiful and inspirational. This next artist (from Etsy) creates everything from bags, purses and mittens to fun holiday decorations. This item featured is what they came up with for the leftovers. The colors caught my eye ..how couldn’t they? 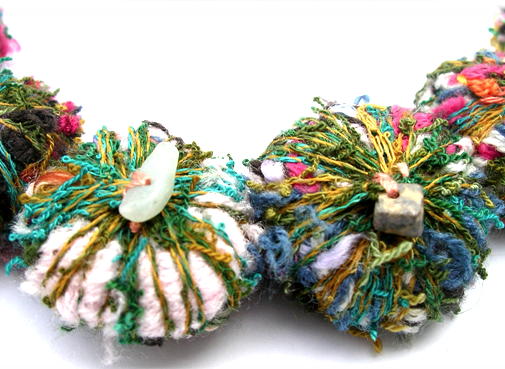 This is a garland made from wool scraps ready to decorate your window or bulletin board to remind you that life is happy and good! 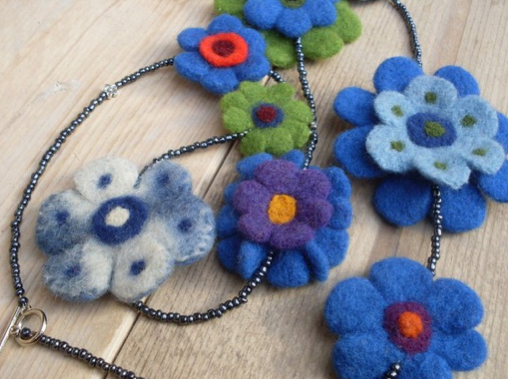 $24.00 at MaddyAndMe’s Etsy Shop (check it out for lots of handmade knit felted wonderfulness! 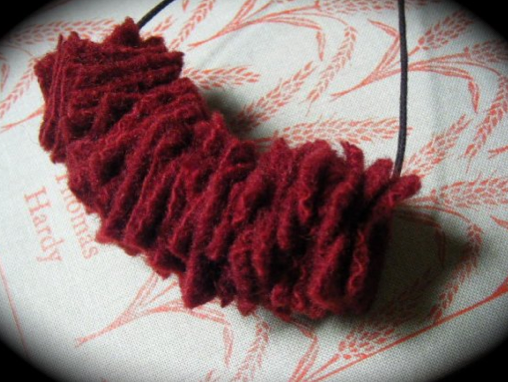 This artist is working with many recycled materials, the wool felt being only one small component. 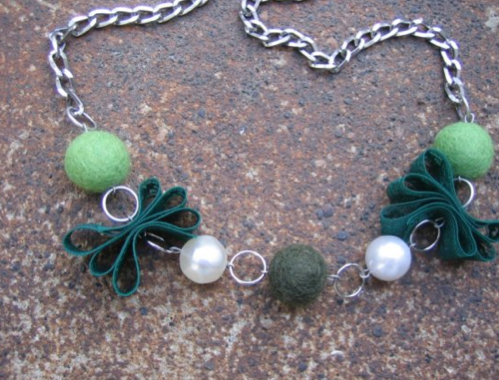 I fell in love with several necklaces made up of many beautiful arrangements. 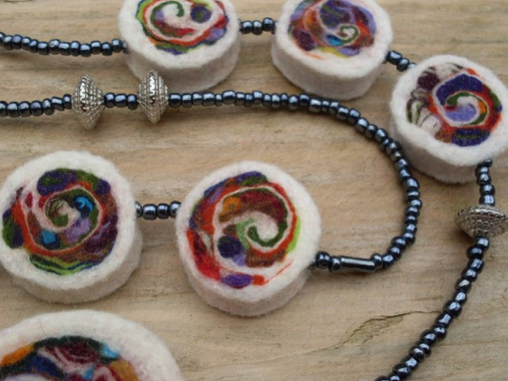 This etsy artist combines handmade felted wool beads with recycled vintage glass and plastic beads. 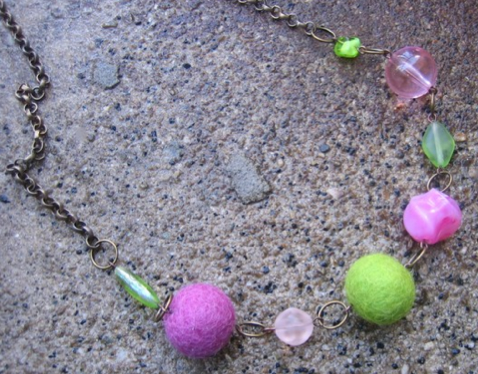 Artful color and texture combinations! 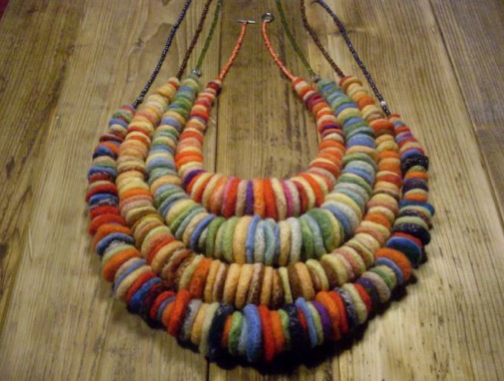 This artist uses hand dyed salvaged wool that she then felts into these wild colorful necklaces. They look so simple but they have the ability to be the finishing item to pull the perfect outfit together. The ones made in the Netherlands are great!